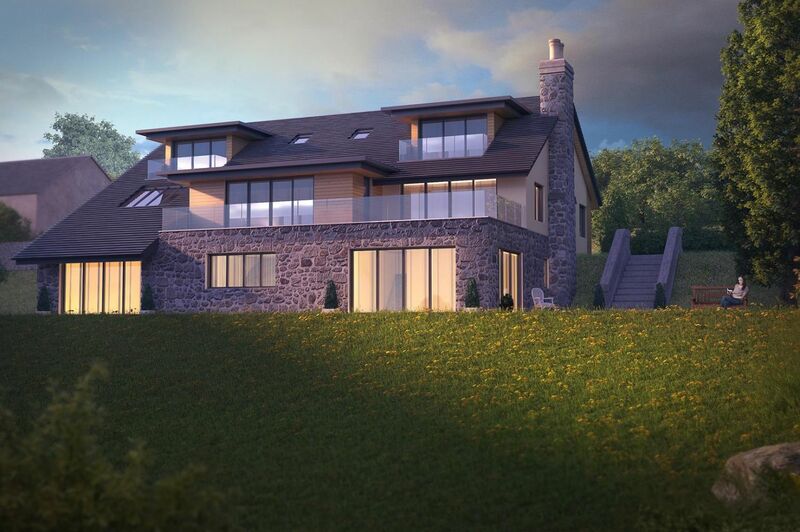 Luxury House Designer in Cheshire, BR Architecture, was instructed by a private client to design their Dream Family Home. 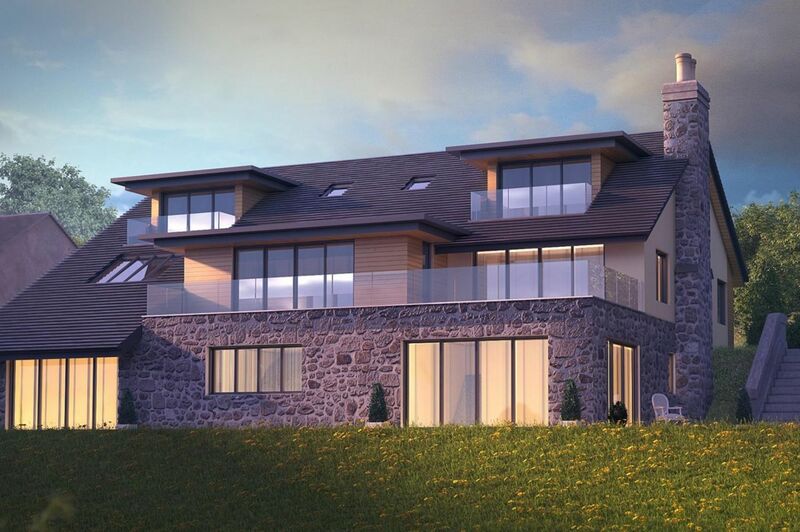 The Gorse Bungalow was designed with a modern twist and it follows the contours of the sloping ground. 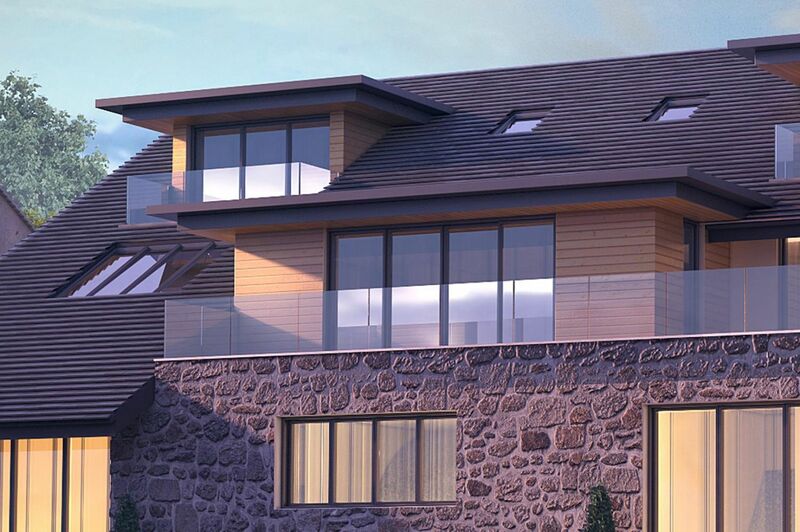 The materials used were Welsh Slate, Welsh Stone, Hardwood Cladding and Aluminium Windows. This modern design consists of an upside down house with bedrooms on the ground floor and the living area at first floor. The layout flows with an open plan feel, with the kitchen/dining is open to the living area.